Come join the North Charleston Chamber of Commerce for our quarterly mixer on October 30 at 6:00-8:00pm at Freehouse Brewery! 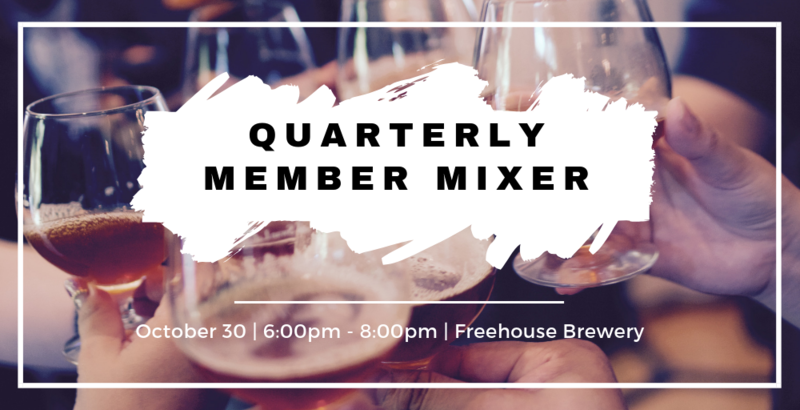 Our member mixers are designed to bring business professionals of all types together for the purpose of collaboration and relaxation. By creating an environment of enjoyment and positivity, our members are able to meet new and current referral partners to explore business progression and referral opportunities. Networking is a large aspect of the business community. With years of experience in hosting networking and business events, our ambassadors deliver a world class experience at our networking mixers. The Lowcountry Food Bank will be on scene accepting food donations and cash donations. They will also speak on upcoming holiday drives. Check out Freehouse Brewery’s selection of beers!